6 months to 3 years. Fast-track options available. 6 intakes a year, enquire now! Make a difference in your clients’ lives with this Graduate Certificate in Self Managed Superannuation Funds (SMSF). Offered by Kaplan Professional in association with the SMSF Association, this unique qualification equips you with essential SMSF skills and knowledge, and can also make you eligible for several SMSF professional designations. You’ll explore the fascinating world of behavioural finance to understand investment decision-making, and learn how to demonstrate best practice when taking SMSF trustees through the stages of an SMSF lifecycle. With three core subjects and the ability to choose an elective that suits your specialty area, you’ll develop the essential communication, critical thinking and problem-solving skills to navigate the complexities of SMSF and effectively guide trustees. This is an ideal qualification for finance and law professional seeking advanced specialist knowledge. It’s also an excellent choice for those with Chartered Accountant, Chartered Professional Accountant, Certified Financial Planner, Global Accounting Alliance or other accreditations who are looking to expand their capacity to work with clients who have SMSFs. a related advanced diploma plus 2 years' related industry experience. an unrelated advanced diploma plus 5 years' related industry experience. academic and/or professional qualifications demonstrating potential to undertake study at this level. Kaplan Professional is a leading provider of education in financial services and real estate. Kaplan Professional’s internationally renowned programs, personalised study experiences, flexible learning options and range of industry partners, all make them highly respected and distinguished. 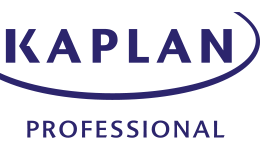 Kaplan Professional offers a range of professional qualifications and provides learning solutions to 45,000 people a year. Whether you want to undertake a Certificate, Diploma or Masters, Kaplan Professional has the right course to get you where you want to go! Kaplan Professional aim to make your learning journey as seamless as possible and have put together a student advice team to assist and help you out if any challenges come up. Student advice representatives will be on hand to answer questions about the system, login and password queries, explaining processes around assessments etc., and to offer advice about study pathways and subject selection. There are also discussion forums where you can direct questions regarding your studies to subject matter experts. What can I do after? Upon successful completion of this course, you will graduate with a Graduate Certificate in Self-Managed Superannuation Funds from Kaplan Professional. Graduates will possess the specialist technical knowledge and critical skills needed to effectively and compliantly manage SMSFs for a range of clients. They will also be eligible for the SMSF Practitioner designation. Those with Chartered Accountant, Chartered Professional Accountant, Certified Financial Planner, Global Accounting Alliance or other accreditations will be able to expand their capacity to work with clients who have SMSFs. The full fee for this course is $9,600 which equates to $2,400 per subject. When you study at Kaplan Professional, you pay as you go. So, you only need to pay for the subjects you intend to study each study period. Other payment options also available to eligible students. Enquire now to find out more! Fill out this form and a study consultant from Kaplan Professional will get back to you.